With 4/20 on the horizon, it’s time for legendary stoner duo Cheech And Chong to make their hazy re-emergence into society. 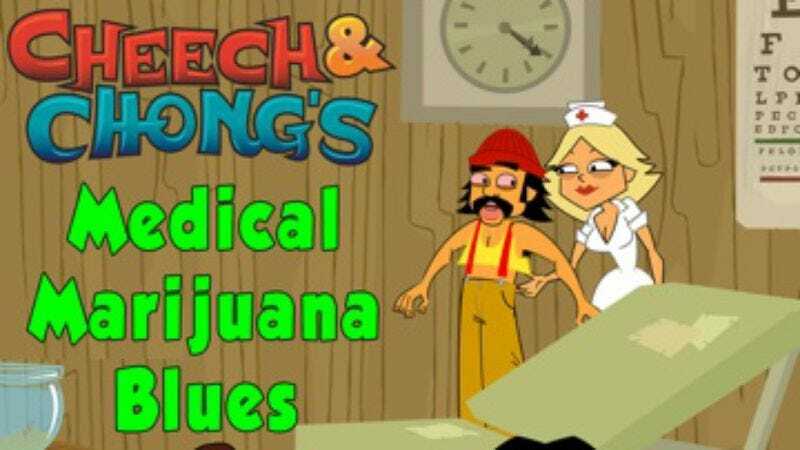 The best buds will star in a new animated feature out April 23, Cheech And Chong’s Animated Movie, the soundtrack of which will feature nine “high-lariously funny” tracks written by the duo. The tracks—“Marijuana,” “Smoke A Doobie Time,” “Bajito Y Suavecito,” “Pretty Boy Alice,” “Cheech And Chong Anthem (WEed Are The World),” “Paranoid Pot Head,” “One Day,” “Medical Marijuana Blues,” and “Pachuco”—will be available via digital retailers April 9, just in time to put on a smoky mix for the quasi-holiday. In the meantime, check out one of the tracks, “Medical Marijuana Blues,” exclusively below, as well as a trailer for the movie.